Meet with one of our family lawyers to discuss your situation and to have some of your most pressing questions answered. We will review your situation and provide you with options for you to consider. The no charge consultation is available for first-time meetings only. If you decide to come back and meet with us again at a later date, our normal hourly rate will apply. 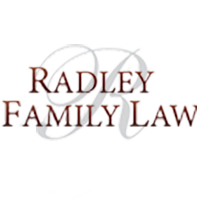 We only provide no charge consultation on issues pertaining to family law issues. Individual lawyer fees are dependent on experience. Fees starting from $250.00 per hour. Expenses/disbursements are extra. Please see notes below regarding additional expenses that could be incurred if you retain us for your matter. Our hourly fees are subjected to HST, and you will be required to pay this additional charge. Flat, fixed fee help to prepare the documents needed for an uncontested divorce. Our flat fee for uncontested divorce is subject to HST, and you will be required to pay this additional charge. The fee quoted is for uncontested divorces in the Greater Toronto Area only. Reduce your fees is through the use of unbundled legal services. Whether you are in court or not, you may decide that you only need help with a specific aspect of your case, such as the preparation of a financial statement or a parenting agreement. Unbundling of legal services means you will only pay the lawyer to do a specific part of your case, rather than handling the whole thing from start to finish. Alternatives to court or avoiding a prolonged fight over issues such as child custody, child support, spousal support, or division of property can help reduce your costs. Some alternatives to court are Mediation, Arbitration, and Collaborative Family Law. We have a number of practises in place to help you minimize your legal fees. We bill by the hour but in six (6) minute segments, so you only pay for the time that you are with us. We work with you to minimize areas of conflict. We have lawyers at different hourly rates so we help you choose a lawyer who will be appropriate for your situation. In addition to our fees, you will agree to pay all expenses/disbursements, even if we cannot settle all your family law issues or we lose at a motion or trial. necessary land, company registry or other searches that need to be conducted. If we need to hire any of these people, we will first discuss the matter with you and obtain your approval. It will be your responsibility to pay for their services, either directly or as part of the retainer you will provide to us from time to time. If our fees increase, which they may, we will give you at least 30 days’ notice of such change. In addition to our legal fees and expenses, you also agree to pay any Harmonized Sales Tax (HST) that we are required to charge you. If we are successful in settlement or at court, we will seek a sum of money called “costs” from your spouse. These costs, if we secure them, will be applied to reduce any fees still owed to us by you, or will be sent to you if you have fully paid your account.